A plane crash is one of the world’s most complex tragedies. Establishing the cause and liable parties can be a time-intensive process. Dealing with the loss of a loved one after a plane crash is hard enough. The last thing a family wants to deal with is sorting through all the details to find fault. It is your attorney’s job to gather all the information and pinpoint who may be at fault for the crash, and then use Aviation Law to prosecute the responsible parties for substantial compensation. One of the biggest challenges of handling an aviation case is simplifying the inherently complex subject of aircraft accidents into a form that gives a Jury the information they need to do the right thing. Plane crash attorneys frequently must prove that a general aviation aircraft crashed due to a product design that was defective and unreasonably dangerous. In litigating against aircraft manufacturers, the plaintiff’s firm must be prepared to match “litigation smarts” and financial resources against those of multi-million dollar corporations. What law (federal or state) should be used? Where is the best forum for the trial? Should lawsuits be filed individually or as a class action? Who should be sued (the aircraft manufacturer, operator, or owner; the airport operator; corporate officers; or component part manufacturers)? What is the best theory of recovery (strict liability, negligence, breach of warranty, statutory provisions)? What is the best method of proving damages? How should evidence of the crash be preserved? In a personal injury case, the plaintiff must show that the air carrier, or one of its employees, acted negligently, and that as a result, the plaintiff incurred injury. 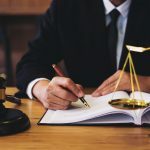 The jury can award a plaintiff damages for pain and suffering, medical expenses, lost wages, both past and future, and inconvenience as a result of bodily injury. Wrongful death claims have certain requirements that differ from personal injury claims. The individual suing for wrongful death must have a relationship to the decedent on whose behalf the suit is being brought. In some states only parents, children, spouses or executors of the decedent’s estate may bring a wrongful death claim. 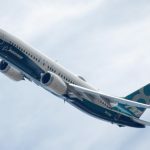 As part of such a claim, the plaintiff must show that the decedent’s death resulted from the negligent, wanton or willful actions of the defendant air carrier. In such cases, if the death occurred instantaneously, the jury can award the plaintiff from loss of consortium, lost wages, loss of future income or earning capacity. In cases where death does not occur instantaneously, and the plaintiff can prove the decedent’s conscious suffering, the jury can also award the plaintiff damages for pain and suffering, bodily mutilation, and mental anguish. In a case in which mechanical failure contributed to the accident, the plaintiff may have to establish that the pilot’s negligence contributed to the accident or that a mechanic negligently failed to detect or properly repair a component of the plane. In such cases, the plaintiff can maintain a lawsuit against the common air carrier or the owner of the private plane. A few states may also allow an action for breach of implied warranty of a plane’s airworthiness in such a case; however, many states do not allow an implied breach of warranty to support a wrongful death suit.Where a mechanical failure results from a defect in the design or construction of an airplane or a component of the airplane, the plaintiff may establish a products liability claim against the manufacturer of the component or the airplane. In a products liability claim based on defective construction or manufacturing, the plaintiff must establish that the manufacturer of the component that caused the accident failed to detect a defect in the particular component that was used in the airplane that had the accident. Products liability based on the premise that the design of the particular component was defective represents a unique hurdle for a plaintiff, in that the plaintiff must establish that the manufacturer could have used a reasonable, alternative design that would have prevented the injury. A plaintiff might incur great expense in pursuing a products liability case based on defective design. In order to establish a reasonable, alternative design the plaintiff will likely have to hire an engineer or other expert to critique the manufacturer’s design and to suggest the alternative design. A products liability case faces a better chance for success if prior cases have already established that the design of the component is defective. Under a legal doctrine known as respondeat superior, the high degree of care required of a common carrier extends to its employees, including pilots, flight attendants, and mechanics. Therefore, if an accident occurs in which pilot error results in some accident that causes a passenger injury, that passenger can maintain a suit not only against the pilot for his or her error, but also against the pilot’s employer, the airline. In effect, employees acting in their capacity as employees “stand in” for the airline. Thus, an employee’s error is theairline’s error. Although money will never be able to make up for the tragedy caused by a plane crash, hiring a good plane crash attorney can ease the burden. Once again, we cannot stress enough how important it is to contact an attorney before signing any waivers or agreeing to any settlements with the insurance companies. You deserve the maximum compensation for your loss, pain and suffering, and you may not get a fair settlement without the help of an experienced attorney. Please browse our directory to find an aviation accident attorney in your State.